The General Staff of Ukraine’s Armed Forces reported at 12:30 PM Kyiv time that in the last 24 hours, one Ukrainian soldier was killed and one Ukrainian soldier was wounded in action. In the last 24 hours, Russian-terrorist forces opened fire on Ukrainian positions on the Luhansk and Donetsk sectors of the front 5 times in total. The Kharkiv Human Rights Protection Group (KHPG) reported, “It is four years since a huge pro-Ukrainian unity demonstration in Simferopol on 26 February 2014 foiled Russia’s plans for an illicit coup d’état. 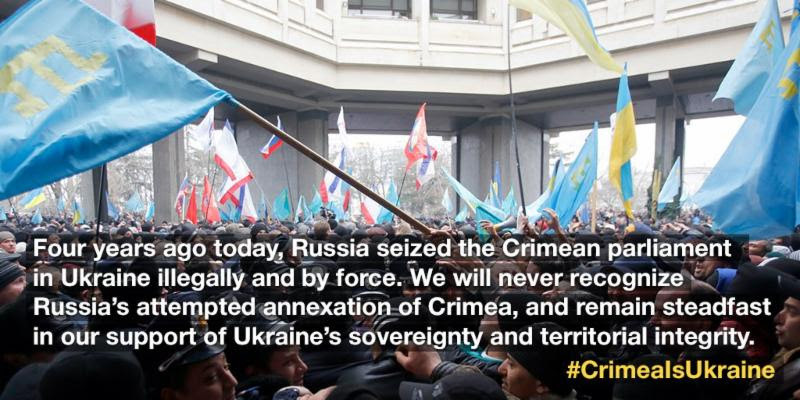 It is an appropriate, yet poignant Day of Crimean Resistance given the huge price paid by the Crimean Tatar leaders and other Ukrainians who peacefully stood in defence of Ukraine on that day and later, after Russian forces and armed paramilitaries seized control of Crimea. The list is long, but includes Ukrainian filmmaker Oleg Sentsov, human rights defender Emir-Usein Kuku and a number of Crimean Tatars active in the Crimea Solidarity movement which arose to help the ever-increasing number of political prisoners in Crimea and their families. US Ambassador to Ukraine Marie Yovanovitch spoke at the international forum “Occupied Peninsula: Four Years of Resistance.” Ambassador Yovanovitch stated, “It is my pledge to you that Crimea remains on the United States’ agenda. And we want to ensure that it remains on the international agenda as well. 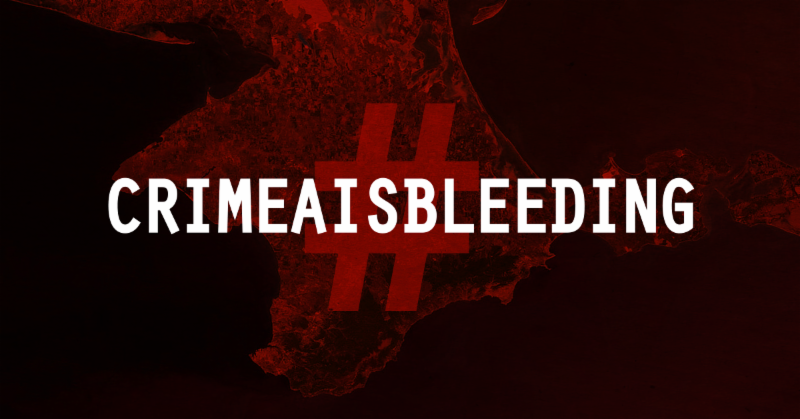 The United States has not, and will not, forget Crimea. Crimea is Ukraine. But where does this leave us? Russia continues to violate basic principles of international norms. Fundamental human rights have been under attack for four years now. Russian security services have engaged in an intense and invasive campaign of intimidation to suppress dissent and stifle opposition to the occupation. Their tactics have included extrajudicial killings, kidnappings, raids, disappearances, arbitrary detention, physical abuse, torture, deportation, and harassment. They have limited freedoms of expression, association, and peaceful assembly – even peaceful assembly within the bounds of Russian law. The Crimean Tatar community has faced particular scrutiny by Russian occupation authorities. These so-called authorities have raided Crimean Tatar homes, mosques, and schools, and imposed administrative fines and other penalties on witnesses who gathered to document them. This is unacceptable.